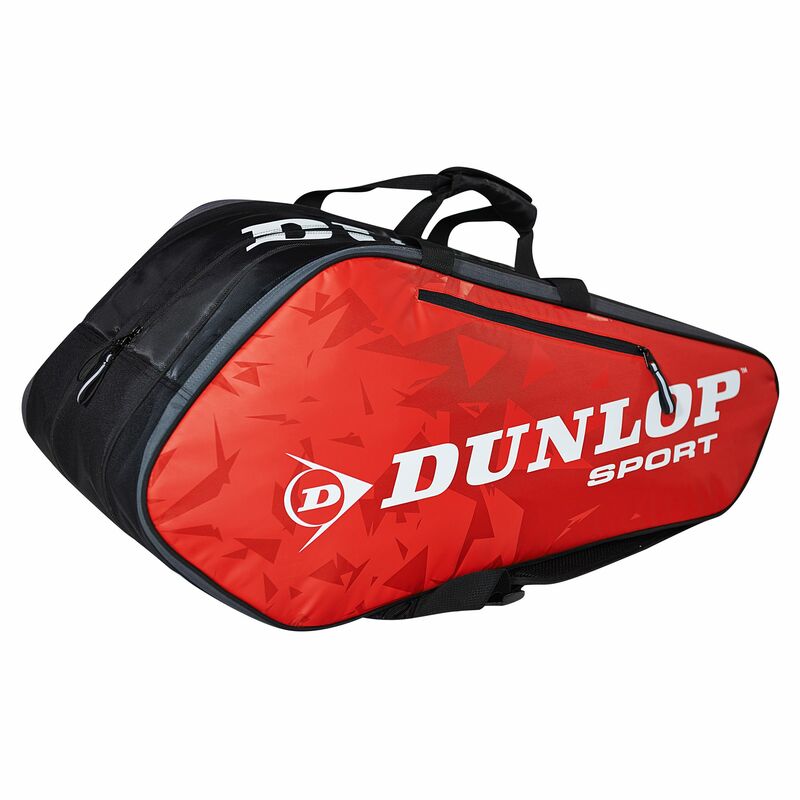 The Dunlop Tour 10 racket bag has a large capacity, with 3 main compartments that will hold up to 10 rackets or other sports gear. There is a detachable shoe bag to keep your footwear separate from other items and a side pocket for accessories and valuables. Good racket temperature is provided by the thermo lining which also helps to maintain accurate string tension. The racquet bag has dual carry handles and two adjustable ergonomic shoulder straps so you can carry it comfortably and easily to and from the courts. for submitting product review about Dunlop Tour 10 Racket Bag.